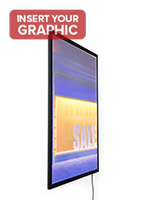 This oversize light box frame is designed to create high visibility wall mounted illuminated signage or advertising graphics in high traffic public environments. 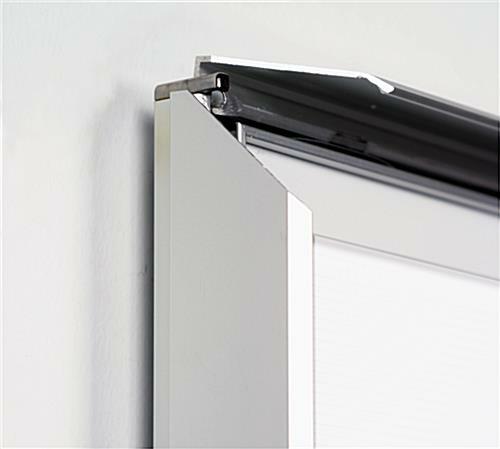 Each snap open enclosure installs easily in either portrait or landscape orientation using the included hardware. 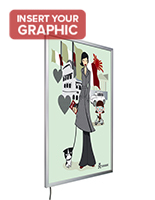 This 30x40 light box frame for large format signage displays features silver finish aluminum construction and allows graphics and signage to be changed without dismounting. 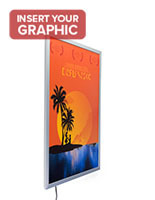 This high visibility sign uses energy efficient edge-lights and an etched acrylic light diffusion panel for even, brilliant illumination that averages in excess of 7,000 LUX. 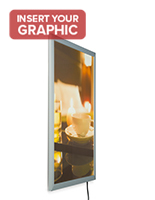 This wall-mount LED light box frame for commercial advertising displays is perfect for use in retail stores and showrooms, in concourses and lobbies, as well as for attracting customer attention in professional and hospitality environments. 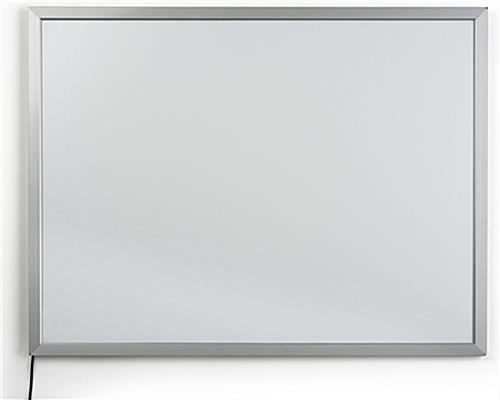 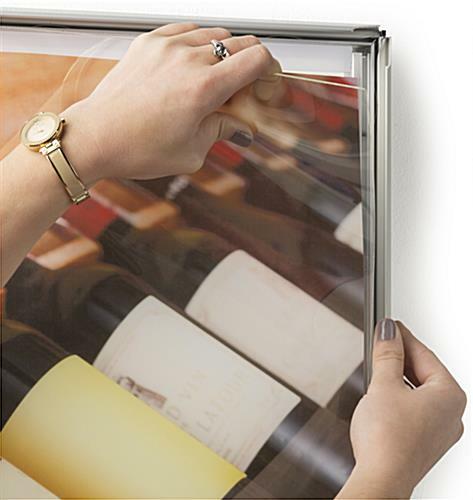 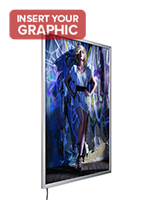 Each 30x40 lightbox comes with all required hardware and mounting brackets for installation.